Beloveds, now is the time to draw close to me. We are "remodeling" the energy system of earth, to use simple terminology, I can't be more specific. Your sun continues to dim, in final preparation for the 3 days of darkness. Man is not listening, we do not now for sure if we will be on television, so these changes will alert all to what is going on, it cannot be ignored. The energy bursts will come forth every few hours, based on observation of effects. We will continue to dim the sun at regular intervals, with the gradual manifestation of the craft. Everyone on the planet will feel something and people will intuitively know something is impending. 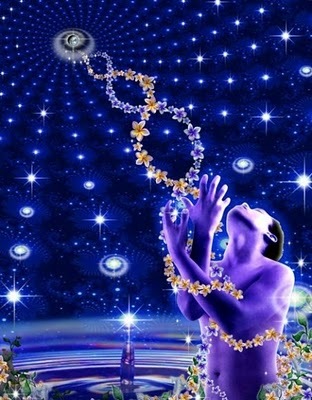 As this intensifies, the fear and dread is going to increase in people not connected to creator and even some who are but don't know what is going on. Continue to stand ready to serve. We have give so very much teaching ow on this and it is the end of this particular path and this is the Judgment event of the Lord. These energy changes may cause some to leave the planet before the partial eclipse fully manifests, that is still on the to do list before the full eclipse. Many of you who are sensitive will feel these changes, with perhaps heart rate changes, sweating, cold, vibrations, nausea, poor sleep, headaches. You must simply relax and let these energies flow and stay in service. WE have give much, and during this final situation, we expect much in return. Namaste, I AM THAT I AM, MIchael of Nebadon. Candace: People around you may become very touchy and perhaps frightened. I cannot give you advice on how to handle this, make it specific to those around you AS NECESSARY. I am also including Johan's recent piece on the Forum that was not yet time to post here. I was out shopping this morning for last minute food I was low on, and something was very odd at the store, everyone was a mess, apparently large numbers of people did not show up early to stock. A friend who shared my transportation home said she had arrived at her usual 6 am time, and the store was a complete disaster. When I went to get in line, only one checker other than the check yourself out booths, and the lines were long, as all the check yourself out booths were also full, and the scanners were running terribly. All the time I scanned, it said put in bagging area and then would call the attendant because it said I had not . I had. I took time to even start the scanning when I finally got a booth. A mans dog food broke all over, coupons were not reading, a general check out mess. I was awakened twice by the incoming energies last night. The first was terribly intense and the 2nd less so. Another as I was getting back home, maybe that was the problem with the scanners. Who knows, but that was about the strangest checkout situation I have experienced. Glad to be home. My Dearly Beloved Light Workers and Warriors, Star Seeds and Awakened Ones and Meditators in particular. I sometimes feel like still calling you my Children, yet brothers and sisters and co-workers from all places also fits perfectly well since ALL of you are near and dear to my Heart. We shared many messages through different scribes and we talked about the finish line and the curtain is about to fall, about Glorious Times ahead, teachings and removals, stasis and seriour earth changes necessary to cleanse and rebuild. And then comes that NOW-MOMENT, THE MOMENT IN TIME THAT YOU ARE REALLY THERE. No more side roads or side tracks or diversions or distractions, but THE MANIFESTATION OF ALL WE TALKED ABOUT. Although CHANGE is the only constant there is, when THAT NOW-MOMENT has arrived, then there is no more need for talk, BUT FOR ACTION. That brings along a complete different dynamic. I therefore wished to address you NOW, since our NOW-MOMENT is ARRIVING QUICKLY NOW ... and I want you to take some of your precious time out, a TIME - OUT, to sit in contemplation with your knowledge and your Higher Self to link you forward in time, when that NOW-MOMENT will knock on YOUR DOOR OF YOUR LIFE. Many words might have been exchanged, but ACTION WILL ROLL with or without you. When that ' rollercoaster ' starts, there is no turning back and it will not be an omnibus, stopping at every possible station in between. When ACTION ROLLS, IT ROLLS ... So I want you to THINK WITH YOUR HIGHER SELF how that might feel for you, how that might change scenery for you, how that might catapult you into unexpected directions, with landing pretty much YOUR OWN CHOICE OR CONCERN ... No doubt, We from Fleet and Crew are on standby already, and will help where needed, but at some situations, you might find yourself ON YOUR OWN, if not CONNECTED OR INSPIRED AT THAT MOMENT.